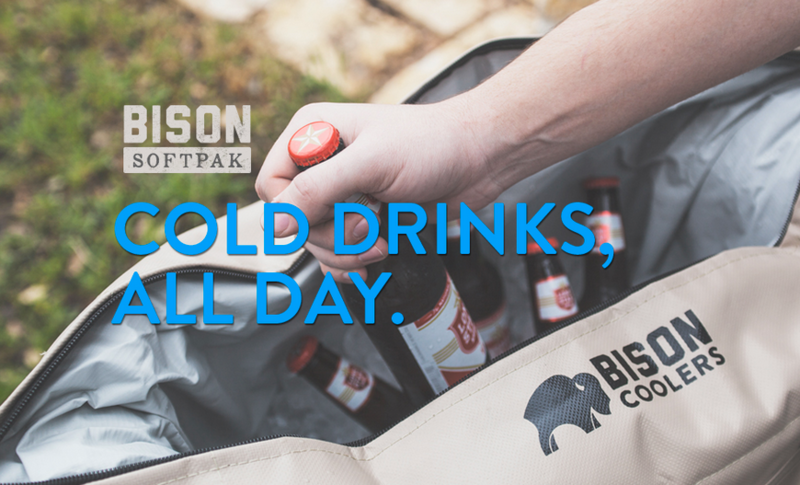 Click the button below to add the 12 Can Soft-Sided Bison Cooler to your wish list. Go Longer And Stay Cooler With Bison Coolers! Of The Soft Coolers We Tested - Bison Makes One of The Best Soft-Sided Coolers In The Industry. 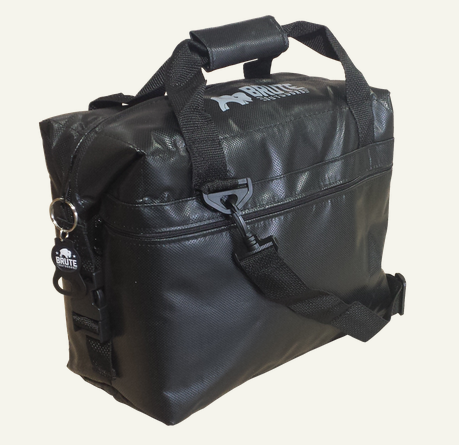 The Soft-sided Bison Coolers Are The Perfect All-Purpose Travel Cooler For Any Occasion. The Bison certainly isn’t your mom’s old personal soft-sided cooler. Matter of fact, it's by far the best soft-sided cooler made. The Bison soft-sided coolers are 100% Made in USA and packs a serious punch when it comes to keeping items colder longer. The Brute SoftPak (sift-sided) cooler is as tough as nails and keeps ice for up to 24 hours in 120 degree heat. Wrapped in a heavy duty 1000 denier vinyl shell, it’s stronger than any other soft-sided cooler in the industry. It's tear resistant up to 375 pounds and UV protected to ensure that it doesn’t fade. With nearly an inch of insulation, this convenient and portable travel cooler keeps your drinks frosty cold wherever you go. Use the exterior pocket for dry items or the MOLLE webbing to hold your favorite accessories and turn it into a dove hunting, deer hunting or fishing cooler that’s designed just for you. External Dimensions: 14" x 7" x 10.5"
Internal Dimensions: 12.5" x 5.5" x 10.5"
Even though it's expensive for a soft-sided cooler, it really is on par with much higher priced options. It holds ice for at least 24 hours and the exterior is tough and durable. The removable shoulder strap and the large (non-insulated) side pocket are also really great features. The MOLLE strap feature is surprisingly handy too. I haven't had it long but in the limited amount of time I've been using it I'm really happy with it.